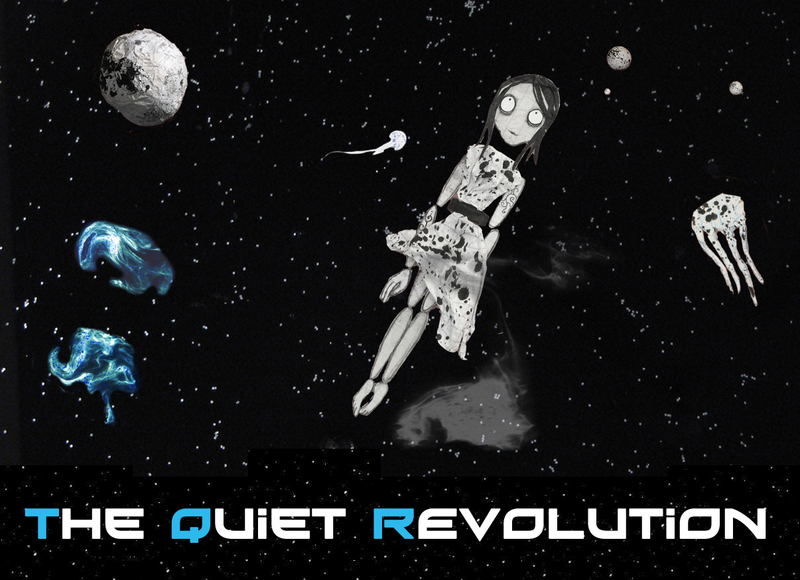 The Quiet Revolution is a musical project spearheaded by Tal More who writes songs that he then finds quest vocalists and instrumentalists to perform on. With the album “Paper Says” it all comes together in a delicate beauty that really encaptured me as a listener. “Paper Says” feat. Hadar Green is an acoustic guitar/vocal track that is very wistful and dreamy albeit with lyrics that aren’t the most dreamy to listen to. The chords make the song feel almost like an epilogue which I found quite interesting to open the album. “Underground” feat. Tracy Gibbons is an electric piano and keyboard led track and again contains a real fallen beauty charm, living up to the projects name. The dualled vocals of Tracy’s are emotive, the flowing piano and spacious background make it feel like a lonely space voyage. “Parallel Me” with Hadar Green again is utterly devastating. There’s such a simplicity to the track it gives off an innocence and emotional breakdown at the same time which makes it quite a powerful track. Hadar’s vocals are very restrained too which works perfectly. “When the World Was Flat” see’s us back with Tracy Gibbons for a beautiful piano/vocal track which again runs the common theme of lyrics, a gentle poke at the world being ignorant and defiant or jelous, and now looking back we can see our silly mistakes. “King Paperman” is a quick guitar instrumental which holds more weight than a ninety second interlude should before “Poisoned Oxygen”, another instrumental takes over. This track is like a summer breeze. It’s Mediterranean fluidity of the various layers of guitar is something you don’t get to indulge in without having to endure lots of cheesey holiday music. This track however is perfectly pitched and is the best music of this type since I bought Final Fantasy Tactics Advanced White (one of my all time favourite albums). We’re then treated to “Underground (Acoutic Version)” with Tracy’s vocals merged with a guitar and harmonica version of the track. It workds equally as well as the main version and is neither inferior or better, which is testament to the great songwriting and arranging ability of Tal. The final track is “Paper Says (Piano Version)” which features Chris Merritt on vocals instead and as a bonus track, this does sound like a demo version although its interesting to hear the piano almost sounds like a honky-tonk! Also the mood and song structure is completely different in the second half so it’s great to hear what the song originally was. However for only a couple of pounds, this is a magical collection of music and I’ve been so pleased that it’s become one of my best new discoveries of 2010. I wholeheartedly recommend this to anyone who likes a few tracks of music to retreat to a corner and ponder on. Sublime.